Efforts to reduce the number of inmates in Tulsa jail could bode well for those who have served the majority of a sentence and may be eligible for early release. Inmates detained on questionable grounds may also be due for a welcome surprise. 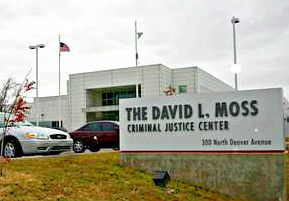 A Sheriff’s Department spokesperson told the Tulsa World jail staff has been working to find ways to reduce the daily population at the Tulsa jail, formally known as the David L. Moss Criminal Justice Center . Sheriff’s officials earlier this month told the Tulsa World part of the problem with crowding at the Tulsa jail resulted from inmates incarcerated for failure to pay fines. Since then, sheriff’s officials provided a district judge a list of 80 inmates who might qualify for release. Tulsa County District Judge James Caputo last week ordered 25 of those 80 inmates released. A slight dip in the jail’s population – at 1,905 inmates early last week – resulted from the releases and from a weeklong ban on booking inmates for municipal offenses, lifted late last week. The Tulsa jail is rated for a capacity of 1,714 inmates. The reason Caputo ordered the 25 inmates released was not clear from the Tulsa World report. A review of recent arrest records indicates ongoing bookings at the Tulsa jail for failure to pay fines or court costs, but it’s likewise unclear the extent to which those recently arrested for failure were represented by attorneys. Arrests during the most recent weekend involved fines or court costs from sometimes old cases — 25 years old in one case. Some of those arrested over the weekend faced allegations of new offenses, but others were booked solely for failure to pay fines or court costs. Without legal representation, a person arrested may never know if their arrest was lawful, or if the arrest for failure to pay court costs violated their constitutional rights. people on probation can’t be jailed for failure to pay fines or court costs. One circumstance in which jailing debtors may conflict with constitutional protections involves deferred sentences. In a deferred sentence, a person enters a plea of guilty but sentencing is put off until a particular time in the future. Such agreements are often considered to be a form of probation. If a person doesn’t violate terms of the agreement, charges are dropped. A person who accepts a deferred sentence agreement may also be ordered to pay court costs. What happens, though, when a person serves the period of time required in a deferred sentence, except does not pay court costs? The cases are often handed over to a collection agency. Judges also issue bench warrants for failure to pay – sometimes after the time set out in the deferred sentence. A person may find they have an arrest warrant for failure to pay court costs years after their deferred sentence has lapsed, even though they’ve never been found guilty of a crime, and were never ordered to pay a fine. Would that be unconstitutional? Oklahoma’s Constitution says “Imprisonment for debt is prohibited, except for the non-payment of fines and penalties imposed for the violation of law.” The Supreme Court has said people can be held in some cases for refusing to pay but not for being unable to pay. A common practice, however, appears to be that anyone who doesn’t pay can be arrested, then a court may be asked to determine if the person was unable to pay. Those arrested for failure to pay court costs often can’t afford to hire an attorney either, much less pay for a lengthy appeal to determine the constitutionality of a routine procedure. Public defenders may be appointed to represent someone, but they may dispose of the case by negotiating a new payment agreement. Even when represented by Tulsa criminal attorney, if a person and their attorney decide the best strategy is to work out an agreement with prosecutors, an underlying constitutional question may go unanswered. Whether or not arrests of those unable to pay court costs are unconstitutional, some of those facing warrants for failure to pay fines or costs in Tulsa Municipal Court may avoid arrest by appearing at the city’s Warrants Office from 8 a.m. to 9 a.m. and requesting to be placed on the daily docket, the Tulsa World reported. If you’ve been booked into Tulsa jail for failure to pay court costs and you wonder whether your constitutional rights were violated, you may want to talk with a Tulsa criminal defense attorney. Even if an attorney believes your rights were violated, you may never know what a court would decide unless you take your case to court – sometimes all the way to the Supreme Court if it’s a constitutional question. Not everyone can afford to take their case to the Supreme Court. A brief consultation with a Tulsa criminal defense attorney, however, may cost you nothing. For a no-cost, no obligation consultation with a criminal defense attorney, contact the Wirth Law Office at (918) 879-1681 (or toll free at (888) Wirth-Law) or submit the question form at the top right of this page.